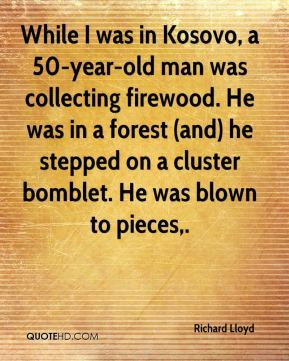 While I was in Kosovo, a 50-year-old man was collecting firewood. He was in a forest (and) he stepped on a cluster bomblet. He was blown to pieces. 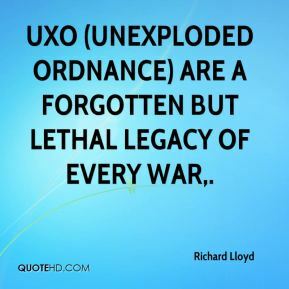 UXO (unexploded ordnance) are a forgotten but lethal legacy of every war. 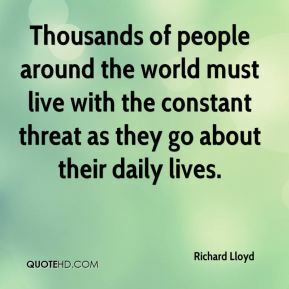 Thousands of people around the world must live with the constant threat as they go about their daily lives. 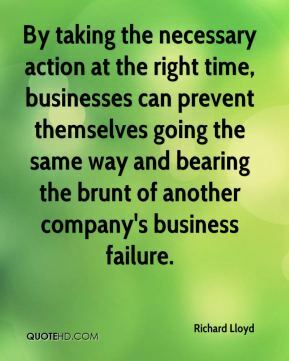 By taking the necessary action at the right time, businesses can prevent themselves going the same way and bearing the brunt of another company's business failure. 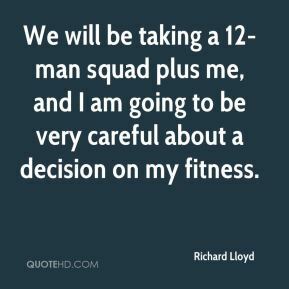 We will be taking a 12-man squad plus me, and I am going to be very careful about a decision on my fitness. I am very happy. 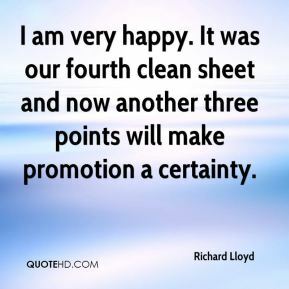 It was our fourth clean sheet and now another three points will make promotion a certainty.